Ok haha that was dumb of me I didnt even check the examples so now i get it except that how do I make a slope with a rounded imagine like a hill or something similar, in the example, it's just 2 rectangles at an angle. Just thought i'd let you know that your image link isnt working. I'd like to help. Im not sure exactly what you mean though. Hey there ok well sorry for the link and thanks. Ok so i'll try to make this clear haha. I want to know how to make a hill, because the example platformer projects that come with C2 are all square pieces. 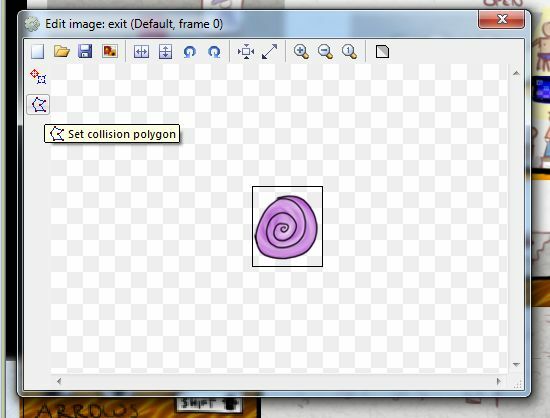 I dont know how to make a sprite that has a curve in it because images are all squares and i coudldnt make a hill with a transparent background because the character would still collide on top of the image and not on the hill itself. I guess it's a bit clearer ? Thanks alot for trying to help ! very appreciated. My solution would be to draw a hill. Then double-click on the sprite so the Edit image window pops up. Then you'd edit the collision polygon points so they wrap around your hill. Ok thanks alot! I didnt know that, I just started using the program.